Today’s Healthy Minute is published by Changed For Life/Alison Rodgers Ministries. Alison is a professional writer, public motivational speaker, and a relationship counselor/teacher as the lead pastor for Changed For Life Ministries. She is also an avid writer for several publications. The first book in her novel series Angellion publishes on March 30, 2012. Alison (who uses her maiden name Lorimer for fiction writing) is a featured “Best New Artists” in the 2012 NYC book Expo in June. Look for her book Amazon Kindle, Barnes and Noble.com and at booksellers following it’s release May 29th, 2012. Alison currently attends Ball State University pursuing a masters degree in Counseling. She recently graduated from Anderson University’s School of Theology, where she earned a Masters in Divinity in May of 2011. Alison plans to join a medical group in Indianapolis working with recently diagnosed terminal patients, helping them cope through nutrition, counseling, physical therapy and cooperative efforts with their primary physician, adding quality and time to life. Alison was ordained in August 2011 from the Universal Life Christian non denominational church, and respects the unique love expressed by most world faith systems. She practices Kaballah, a form of Judaism, and is devoted to love and grace as taught by the Christian savior, Jesus Christ. Alison talks frankly about love and loss through the televised portions of Today’s Healthy Minute, and also stresses the need for authentic helps in life coaching and becoming your best self now. This video illustrates her passion for life and love, as well as that transparent spirit that is well respected across the country and worldwide. Humor, satire, faith and food make up Alison’s somewhat irreverent focus in life. Given to writing about love (and all it’s many failings), loss (usually related to love, and one guy in specific), and the pursuit of really good pizza, Alison writes primarily for health and wellness, relationships, faith in action and really good food. 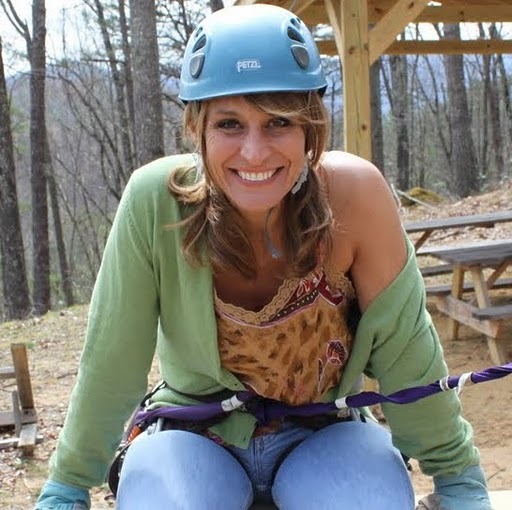 She is an avid fan of music, loves hiking, ziplining, white water rafting and riding bikes with her family. She is a dedicated NASCAR fan and proudly promotes hometown hero “Rushville Rocket” Tony Stewart. As a former lifeguard, Alison takes swimming seriously for both stress relief and physical exercise, in addition to more unusual things like kick boxing and working out on the new suspension system circuit. She labels herself “an adventuress, step ford wife and lover of learning.” Brian and Alison are still best friends and deeply in love after being married for over a decade. They have 5 children, and a new grandson and many plans for worldwide adventure at every available opportunity. They make their home surrounded by a loving community in Rushville, Indiana.